During the second half of the previous century population augmentation has been extremely high specifically in the less developed areas like Pakistan. Explosive expansion of population in such areas of less developed world also brought real worries for planners and resource managers. Many of their plans failed to cope with the rising needs of population. This kind of alarming state of affairs also increased the need for study of the causes of boom in population. 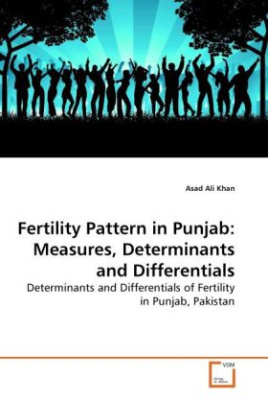 Thus, the need for books introducing concepts, techniques and principles in population studies has also increased and is likely to continue to do so. In line, this endeavor is a fresh input in the substance. The foremost intention to produce this book was the sagacity that students and researchers engaging with population issue would benefit from author's views. Although, it was not the intent to produce inclusive work which will provide the reader a complete overview of population issue, but rather to serve the needs of today's population students. The product consists of author's exclusive work and opinions and ought to be placed on its merit.